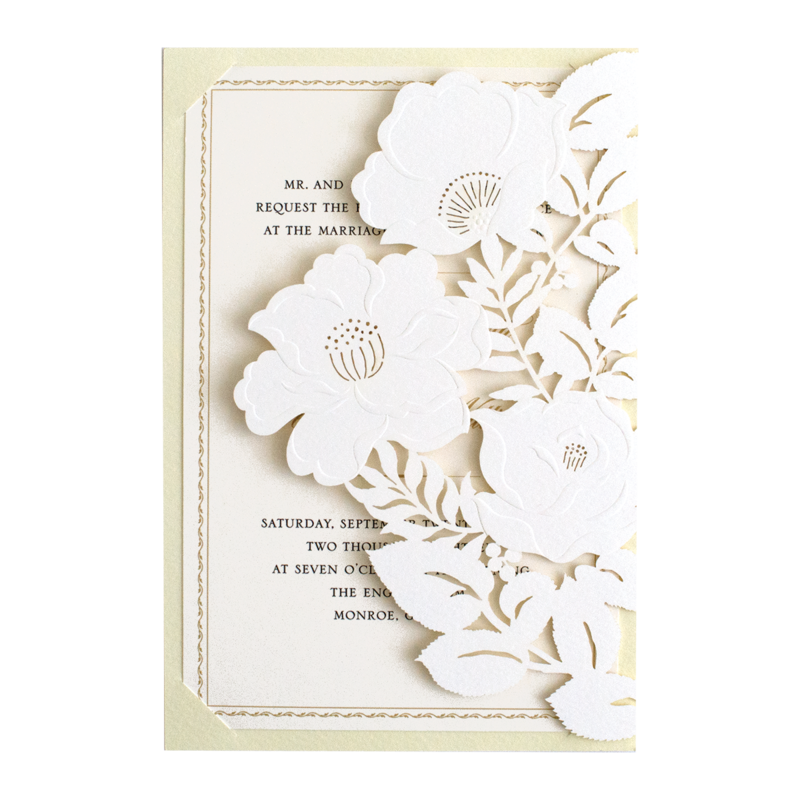 Includes 5.25″ x 7.75″ blank cards and ivory envelopes. 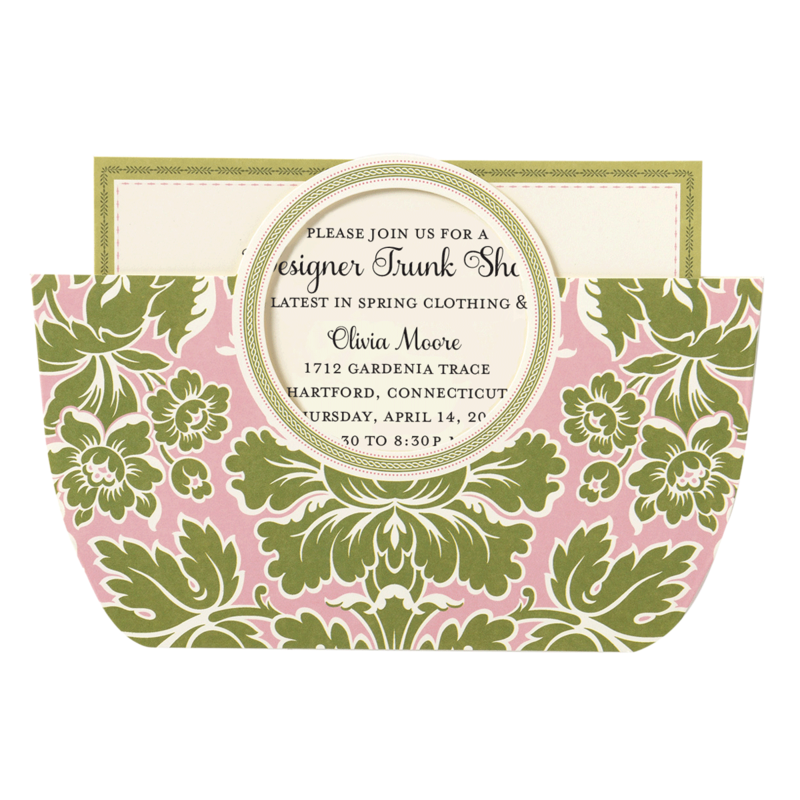 Each invitation features lasercut floral jacket and printable card. Extra postage and assembly required. 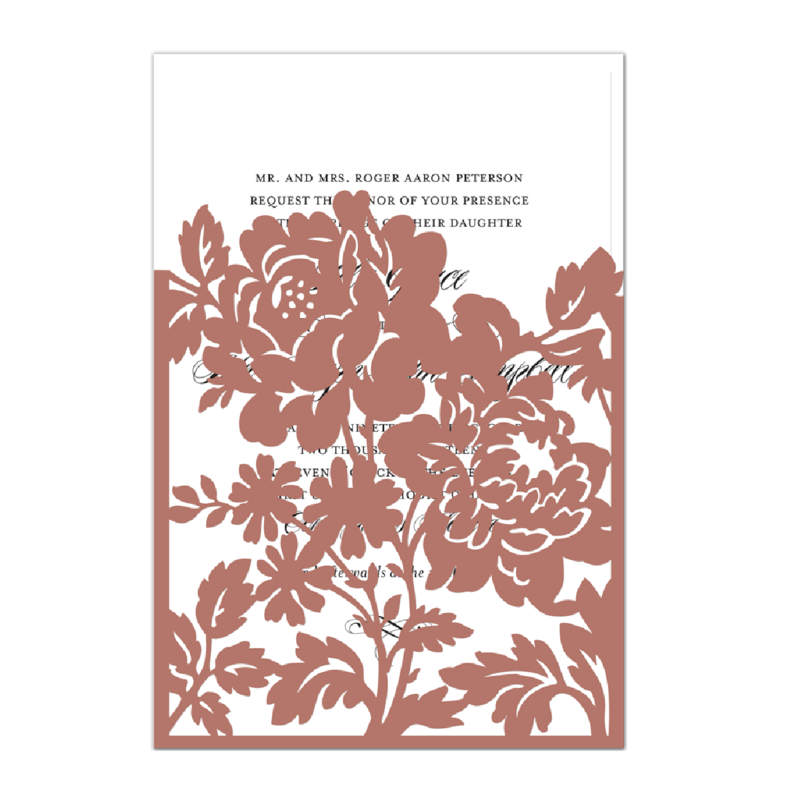 Sold in multiples of 50.